Given the important role the brain plays, it might seem to make sense if we imagine that a bigger brain is a better brain. However, this isn't the case as recent research has revealed. Having 'more' brains won't automatically mean more intelligence. What matters most is the specialisation of brain regions. With the newest study, we can see how animals compare and how even a small brain can still be capable of producing intelligent thought and behaviours. A new study that looked at animal intelligence found that even miniscule insects could be as 'smart' as much larger animals – in fact, even when their brain was the size of a pinhead. It may seem surprising but there is a lot more to intelligence than simply the size of the brain in an animal. But why isn't bigger better then? Researchers have noted that in previous studies, bigger animals might have required larger brains because it gave them more control. For instance, a larger animal has larger muscles and needs a greater number of nerves to ensure successful movement. Yet, this movement does not mean that the animal has a greater capability of intelligent thought. The mistaken belief has been that if the brain is bigger, there is more complex, intelligent thought. Now though, the new research has shown this is not so likely to be the case. In a larger brain, it isn't necessarily more complex. Rather, the same patterns could simply be repeated over and over. Think about a circuit that repeats the same sequence rather than becoming more specialised. Even an insect can show intelligence despite the fact that some insects can have a brain that weighs only a milligram. In this recent study, researchers discovered that insects can show some very intelligent behaviours. These range from counting and categorising objects that are similar or also differentiating between some shapes. Another thing that researchers found was that even though an increase in an animal's brain size could sometimes relate to more intelligent behaviour, the increase in size wasn't an overall one. 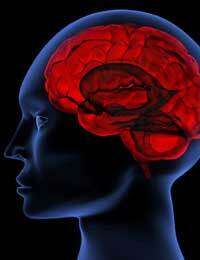 What it means is that the size increase was in a particular part of the brain. It also means that one region is more specialised. Researchers have concluded that intelligent thinking doesn't necessarily mean that more neurons are needed. As fascinating as it is to learn about how brain size affects intelligence, the key conclusion here is that the focus should be on how brain regions are specialised and what this means for animals and most importantly, humans. Rather than worrying about the size of the human brain, we can improve our brain skills by partaking in behaviours that we know improve our intelligence and help us make the most of what we have. Whether big or small, using what brain is there to its fullest potential is the way to improve brain skills and enhance intelligence.